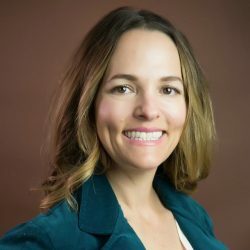 Melanie Estarziau has more than 14 years of experience in applied social, public health, and health services research, primarily in the areas of home visiting, maternal and child health, and early childhood education. Currently, she is co-project director for the Family-Level Assessment and State of Home Visiting project. She is also data manager for the Multisite Implementation Evaluation of Tribal Home Visiting project. Estarziau has worked as an evaluation technical assistance liaison for a number of JBA projects, including Design Options for Home Visiting Evaluation and Mother and Infant Home Visiting Program Evaluation-Strong Start. Prior to joining the firm in 2012, Estarziau helped develop the statewide needs assessment, benchmark plan, and data collection tools for the California Home Visiting Program. She also evaluated initiatives to improve early childhood outcomes for several First 5 County Commissions. Estarziau received an M.P.H. in epidemiology from Loma Linda University.